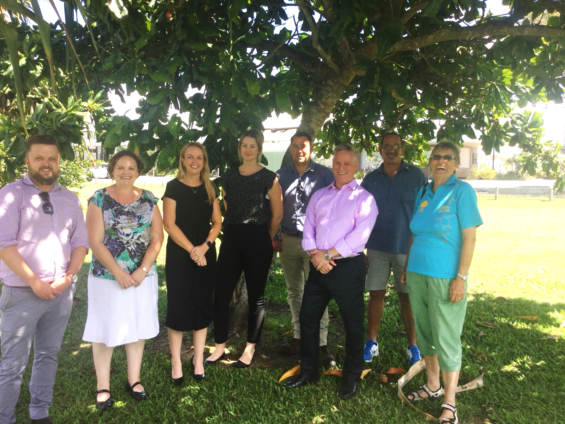 As we celebrated the success of our Bli Bli and Coolum Teams on Tuesday 20th March, we also said farewell to the program that has achieved amazing results over the past three and a half years and 172 projects across QLD and NSW. 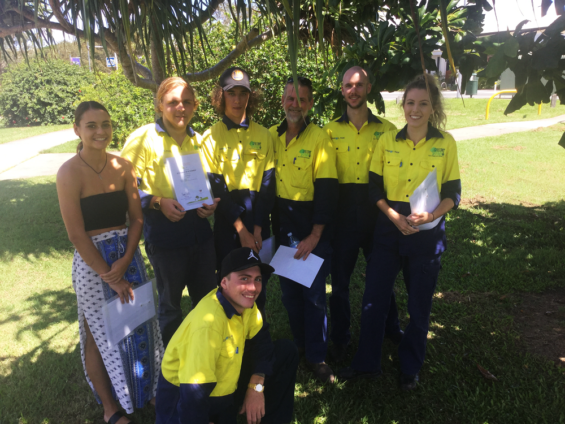 Our Green Army projects have created over 1300 participant placements, giving local youth the opportunity to learn new skills and build confidence. The program has been very successful, with 1 in every 2 of our participants gaining ongoing employment and kickstarting their careers. Our 172 teams have contributed directly to environmental work aiming to improve local community habitats and landscapes, by planting over 351,000 plants, working over 12,000 hectares of land treating weeds and propagating over 233,000 plants. The legacy of this work will be seen throughout many regions for years to come. We have made some unforgettable connections with many community groups and local organisations to whom without your efforts, many of the opportunities for local youth would not have been possible. 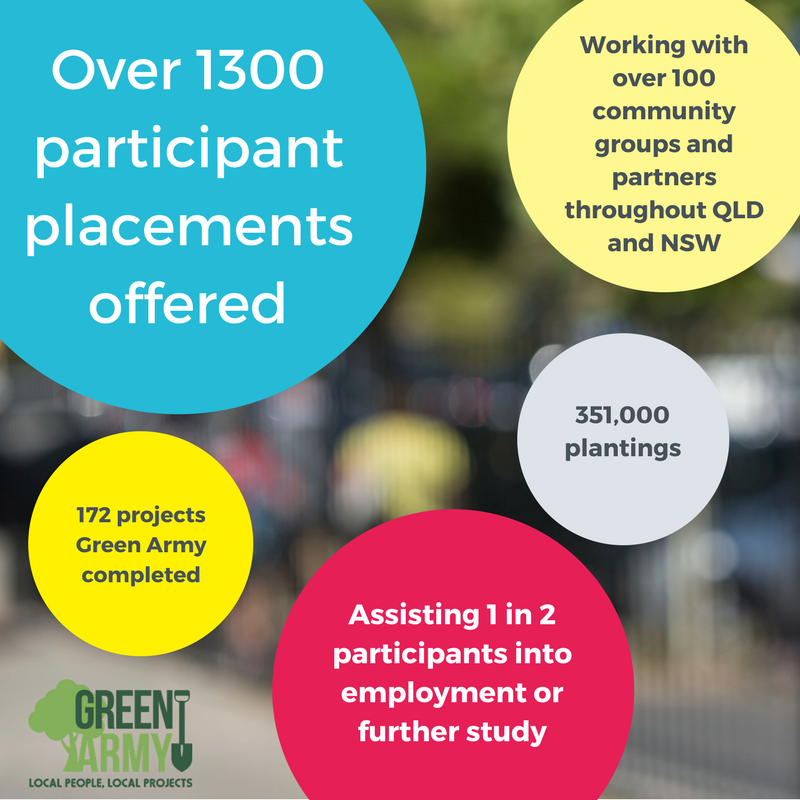 Our Green Army program has made some unforgettable relationships and accomplished some remarkable results.